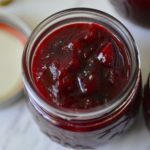 This is a sweet plum chutney with a hint of warm spices. I love to use this to make chutney sandwiches – a bit of tang , heat and sweetness seems to work wonders on piece of plain toast ! But these go really well with spicy samosas or Naan or with Indian chaat or as a glaze when roasting poultry or ham. Thin it a little and and it becomes a dipping sauce for spring rolls .. well the options are endless .. These plums were not on my list, but as I was stepping out on the grocery run a little voice chirped from behind “Mom, you never take us to the store with you!”. As usual everything is dramatic when viewed through the little eyes. “ Go with mommy”, chimed in DH. An uninterrupted afternoon nap is worth a few angry stares from wife, he would have figured. Anyway the long story short the kids and I went shopping together. … And that is how a fairly large box of plums ended up on the kitchen counter. How bad can it get? after all it is just a few plums, right ? These ones looked good – perfectly shaped , no blemishes , beautiful even coloring. The only thing you may not guess by looking at them is that they weren’t ripe enough. So after the first bite no one spared them a second glance. Commercial plums are picked before they are ripe. Sometimes these are forced to ripen by exposing the raw fruits to ethylene. Leaving them at room temperature for a couple days also has the same effect. But the science lesson is lost on my family – once bitten twice shy ! So these beauties ripened as they sat there on the counter, but no one showed any interest in them. I could throw it into the trash bin – or compost. But every time I look at it I am thinking “Ommm this is going to make some nice wine !”. I had made wine with these ages back just the way I make my home made grape wine. It was delicious – (is that something you say about wine) ! The point is that if I get another glass , I will be more than willing to try it. But somehow the wine making never came to pass, and the fruits sat there getting more and more ripe. Plum chutney – the light bulb went on my head as I was spreading the last bit of spiced pineapple jam onto my toast ! It has been sometime since I made jams or jellies, and I was just polishing off my last bottle of home made jam! So yes it seemed like a good idea. And it turned out to be much better idea. For one thing, plums don’t need a lot of cooking time. I had a little over 2 lbs of fruits left over and that was perfect for about 4 cups of chutney . 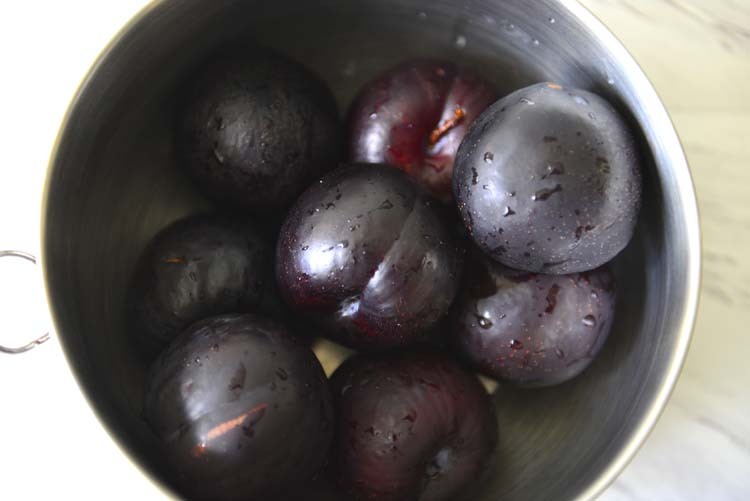 Plums, except for the Italian variety, contain a lot of pectin , making these perfect to make jams and jellies. There is no need to add extra pectin or find other fruits/peels that contain pectin. These impart wonderful color to the jam as well. Believe me all that beutiful read comes without any food coloring. Keep in mind though that the color might vary a little depending on the variety of plum , but most dark varieties yield this gorgeous red color. 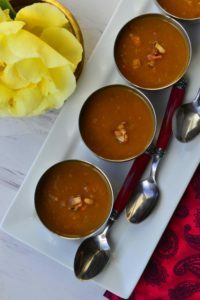 These soften really well on cooking and unless you are looking for a really smooth jelly texture do not worry about straining the mix or pulverizing the fruit. Another thing in favor of this fruit is that it does not need a lot of elbow grease. Chop the plums and cook with sugar stirring every couple minutes . Once the mix turns into a liquid add the spices and cook down to the desired consistency – in my case just set. Add a little vinegar simmer for a few minutes and bottle. For the most part I do not use a candy thermometer when making jellies. 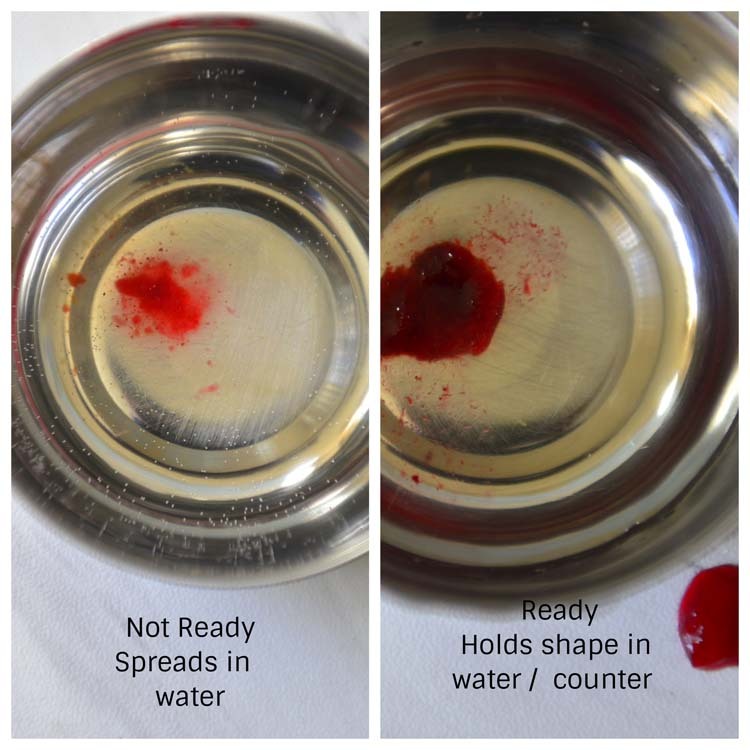 I go the old fashioned way – test using a bowl of cold water. Keep a small bowl with water nearby as the jelly thickens. Drop a little into a bowl when you think it is ready. If it spreads the jelly needs to be cooked a little more. If it sets you are good to go. For jellies that are going to be used up soon this works perfectly. 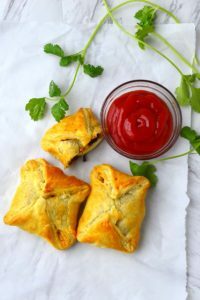 In this recipe I have used some warm spices , medium hot chili powder , ginger , clove and cinnamon powders. A little bit of these spices goes a long way in complementing and enhancing the flavors. For a spicier version increase the chili and ginger powders. Coming to bottling part, it is one of the most important things to keep in mind in home canning. If you are making a large batch, do follow the proper canning procedures. There is no point in going through all the process of preserving if it is going to spoil before you get to open it. More information on canning can be found on the usda website . 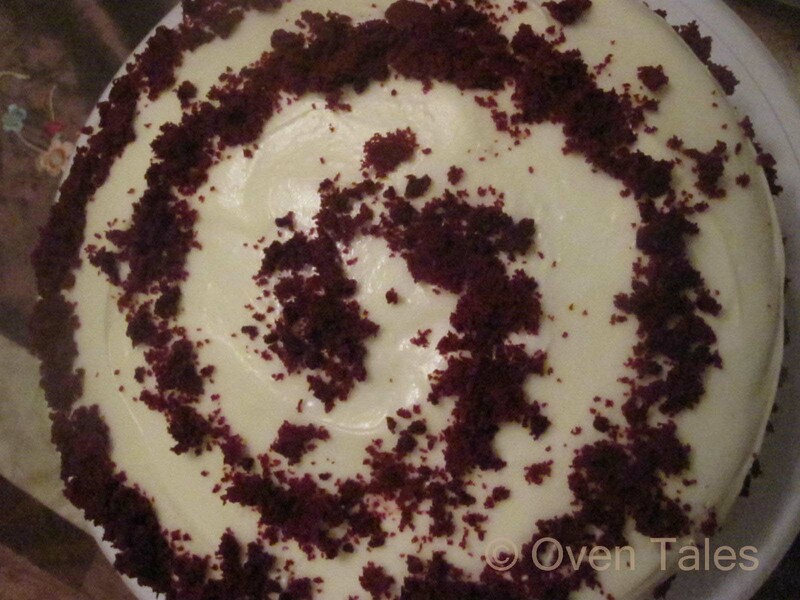 I on the other hand make these in smaller batches. The recipe here is for a small batch of up to 1 kg fruits. You get 3 to 4 Cups of chutney depending on how thick you want it to be . These can be bottled and refrigerated for a few weeks ( 3 to 4) , without pressure / water canning . In any case use clean dry bottles to prevent spoilage. Here is the recipe for spiced plum chutney . 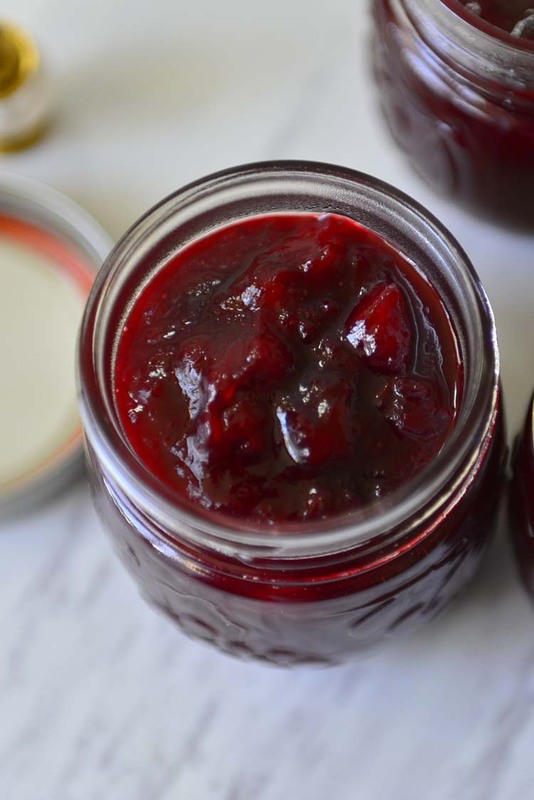 A sweet and tangy plum chutney with a touch of warm spices . Remove the seeds from the plums and chop into small pieces. 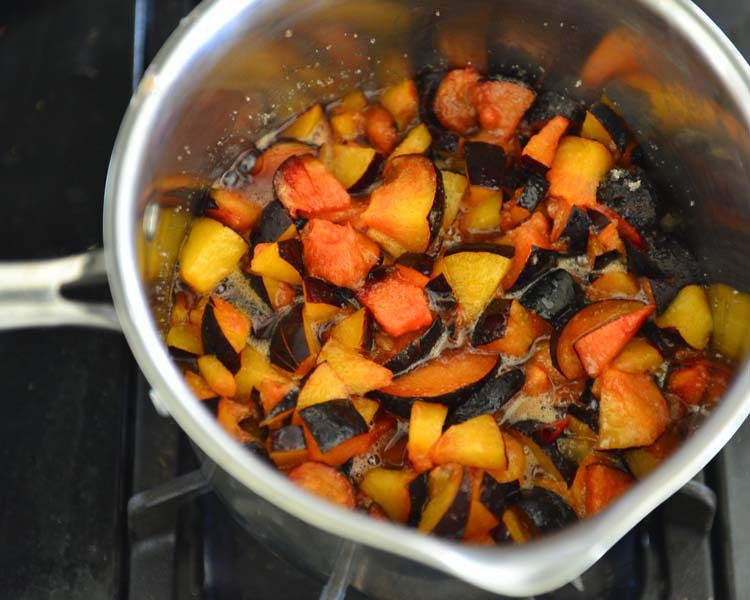 In a thick bottomed stock pot mix the chopped fruit with sugar. Cook over medium heat stirring occasionally. Cook for about 8 to 10 minutes until the mix turns to liquid. Add salt , chili powder , ginger powder , cinnamon and cloves to the mix . Over low heat cook until the mix reaches the desired consistency. Stir often to prevent the chutney from sticking to the bottom of the pan. Taste and add more spices if needed. When the chutney thickens place a drop of it into a bowl with cold water. If it sets and does not spread the chutney is ready , otherwise cook a little more and test again. Add the vinegar, mix in and cook over low heat for 5 more minutes. Stir frequently to prevent burning. Bottle into clean sterilized bottles and process in a water/pressure Canner if planning to store for long , otherwise cool completely and refrigerate. Use within the next few weeks (3 to 4 ). Freshly ground spices pack more punch. You could substitute Apple Cider Vinegar or red wine vinegar for white vinegar. These will change the flavors a little. Adjust sugar as to your taste . When using ripe plums this recipe will yield a sweet chutney, but not overly sweet.